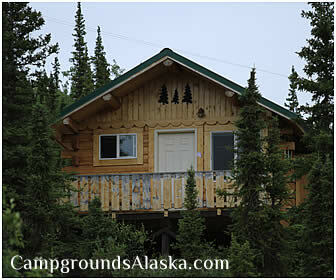 Are you the owner of Denali Grizzly Bear Resort in Denali National Park Alaska? Did you know that you can convert this page to a complete listing of your services today for nearly nothing? Put your listing in front of visitors planning their trip to Alaska. Add your own coupons, pictures, services and more. Full advertiser packages available. Contact us today, we're your neighbors and friends so don't be shy. Directions - Just a short 5 miles south of the Denali Park Entrance Road and along the shores of the Nenana River. Description - A large yet tranquil park setting with cabins and a motel tucked away in the trees along the rivers banks. You will really feel the serenity of the Denali experience when you book your vacation at this 4 star lodging with convenient access to Denali National Park. 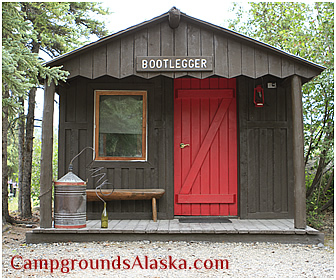 Denali Lodging - 72-room hotel lodging with private decks overlooking the Nenana River. Cabins - A wide range of cabins allowing you to choose the amenities and atmosphere you're looking for. 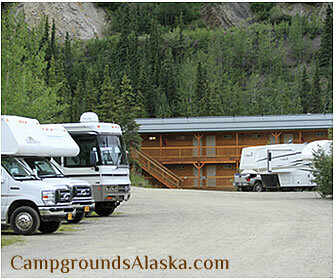 Additional Amenities - Also available are a number of RV sites behind the general store and a very Alaskan camping opton in their Denali Grizzly Bear Campground.